It's little wonder, Orlando is so poular with families - with world-class theme parks, Walt Disney World, Universal Orlando, Seaworld and Legoland Florida all packed into this stunning corner of the Sunshine State. Once you've enjoyed the rides and thrills of the theme parks, there’s much more to Orlando holidays than just the rollercoasters! We've rustled up our five favourite attractions and things to do in Orlando, off the beaten track, from great restaurants to the country's top beaches, your itinerary has just got a whole lot bigger! If you've got a little more space on your itinerary, take a look at the top things to do in Orlando for families, too! If you want to do some nature-spotting while you're in Florida, this is the place to do it: a 4,700 acre ranch comprising nine different ecosystems and an impressive menagerie of critters, including alligators, panthers, white-tail deer and black bears! As well as getting up close to the animals and exploring the wetlands and forests, you can see the whole ranch on horseback by following a three-day trail - campfire dinners included! From the moment you arrive, you can tell something's funky about this Ripley's Odditorium - the entire building is tilted at an angle and appears to be sinking into the ground. That's nothing compared to what's inside, though. Seven-legged sheep, shrunken heads, a mural made from 8,500 playing cards and a balloon-powered flying chair are just a few of the weird and wonderful exhibits on display. You can also find out much more about the strange life of Robert Leroy Ripley himself - it's the perfect attraction for keeping the kids (and big kids too) entertained during your family holidays! With the south-east's largest collection of venomous snakes and a variety of endangered species among its 400 inhabitants, this zoo makes a great family day out. See the prehensile-tailed porcupine, red ruffed lemur, clouded leopard and the Gila monster - the largest lizard in the United States. The zoo also hosts annual events on particular holidays throughout the year, so stay tuned! For some of the hottest improvised comedy in Central Florida, visit this 200-seat theatre where some of America's top comedians got their big break. A popular choice is the Duel of Fools, where the audience judges a comedy battle between two hopefuls. All of the shows are family-friendly (although occasionally a bit risqué) and audience participation is highly encouraged - you have been warned! Billing itself the "World's Greatest Aviation Attraction", Fantasy of Flight has a truly impressive collection of aeroplanes in Polk City, just a short drive from Orlando. Every day you can see pilots take to the skies in planes from yesteryear and walk through immersion environments that recreate wartime scenes. Visitors can also try out a simulation of the sensation of flight and indulge in a meal in the 1930s-themed Compass Rose Diner. 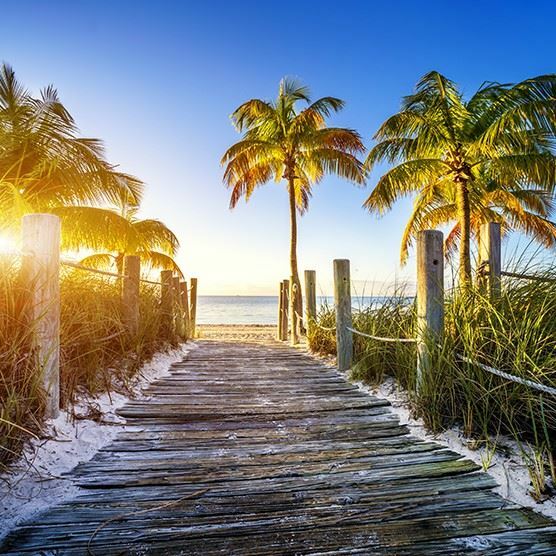 If these weird and wonderful attractions are making you want to get up and go, check out our fantastic 5 star holidays in Florida and grab your passport!